We've all heard the saying that an ounce of prevention is worth a pound of cure, and that's especially true when it comes to cancer. The "cure" for cancer often involves round after brutal round of radiation and chemotherapy as well as difficult surgeries and months of recovery time. Obviously, preventing cancer in the first place is far preferable to enduring these therapies. That's why we talk so much about eating right, exercising, and taking other steps to care for our bodies to build up our defenses. But researchers at Brigham and Women's Hospital are going a step further and actually giving people cancer-fighting drugs before they develop cancer. Here's why they might actually be on to something. The researchers have been working on a project called CANTOS, or Canakinumab Anti-Inflammatory Thrombosis Outcomes Study. They started the project to focus on cardiovascular health. But they've since discovered some interesting findings, which they've published in the journal The Lancet. What did they discover? They found that their drug significantly reduces the incidence of lung cancer and lung cancer mortality. 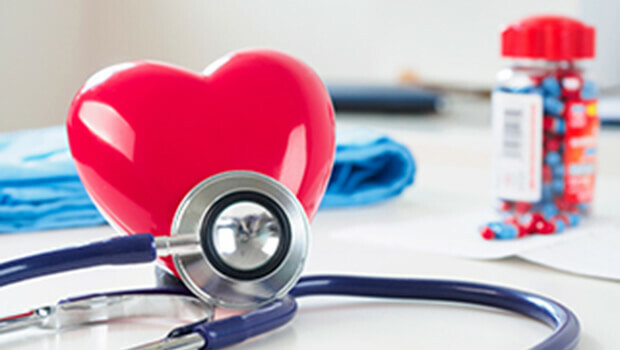 CANTOS involved a group of more than 10,000 participants who were at high risk for developing cardiovascular disease because they had high levels of C-reactive protein, a biomarker of inflammation. However, while the patients were at high risk of heart attack, stroke, and cardiovascular death, none of them had been diagnosed with cancer. The researchers wanted to determine if a drug called canakinumab, which is an anti-inflammatory, could reduce rates of these cardiovascular incidents. They conducted a randomized, double-blind trial to find out. The researchers divided the participants into four groups, receiving either 50 mg, 150 mg, or 300 mg of canakinumab or a placebo for three months. The researchers then followed the patients for up to five-and-a-half years. They were surprised to notice that the patients who received the canakinumab had lower rates of cancer death than the placebo group, and the effects on lung cancer death were particularly striking. The more canakinumab they got, the better they fared, with the three groups experiencing decreases in lung cancer rates of 26%, 39%, and 67%, respectively. Inflammation is a known risk factor of lung cancer, as inflammation in the lungs is a direct result of two of the most common triggers of this cancer: smoking and inhaling pollution. So the researchers believe that the canakinumab drastically slows the progression of lung cancer by keeping this inflammatory response under control. These findings are very exciting. They're a great reminder of just how important it is to keep inflammation in check throughout the body. And there's good news: you don't have to try to get your hands on the drug used in the study to lower inflammation in your lungs. You can have natural anti-inflammatory impact using Reduloxin, which supports a healthy immune response to keep the fires of inflammation from burning out of control in your body. Even if you've never smoked a day in your life, you can't avoid airborne pollution altogether, so you do still have some risk of lung cancer. And if you were a smoker, you'll definitely want to give your body the tools it needs to douse the fires of inflammation and help stop lung cancer in its tracks.